Self-driving cars are no longer science-fiction. Although many benefits are expected of automated driving systems (ADS), such as reducing congestion and less crashes, ethical concerns also arise. Who is responsible when self-driving cars are involved in accidents, as was the case recently with a self-driving Volvo in Arizona in which a pedestrian did not survive the collision and with the fatal self-driving Tesla incident in 2016? How can risks of ADS be minimised and human safety be safeguarded? A responsible transition toward automated driving is desirable. In the NWO project ‘Meaningful human control over automated driving systems’ TU Delft contributes towards this transition by analysing ethical issues concerning ADS. An angle that has not been researched yet. However, there is no satisfactory theory of what meaningful human control precisely means in relation to ADS. The goal of this project is to come up with an academically solid definition that is also workable. Santoni de Sio: “Our team of researchers from TPM and Civil Engineering, consisting of philosophers, behavioural scientists and traffic engineers, will first develop a theory and then translate ‘meaningful human control’ into system design guidelines at a technical, regulatory and legal level together with industry and policy makers. Because human control should not only be incorporated in the driving systems level, but also in the systems beyond that system. In an optimal design, humans and technology work together with the intention to minimise risk and guarantee an appropriate action when needed, for example when an automated system fails to intervene in a dangerous situation. “It is crucial however that a person is also capable and willing to comply with this distribution of tasks. Because besides driving, drivers will also need new skills such as monitoring and supervising the vehicle in an automated system. This must all be taken into account when designing the system.” This is why the project has a strong component of traffic engineering and behavioural science too. A different kind of challenge will be to keep all project partners proactively involved, since they tend to work in their own rhythm. This asks for a comprehensive approach. “Our starting point is promising; the most important parties who have a role to play in this interconnected and complex playing field, cooperate in this project and are fully committed,” says Santoni de Sio. 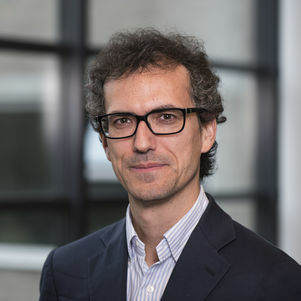 Filippo Santoni de Sio is assistant professor in Ethics of Technology and works at the section Ethics/Philosophy of Technology of the department of Values, Technology and Innovation (VTI). He recently started up a new MSc course in ‘ethics of transportation’.